The 5 museums of Historic Palmyra will open its doors and offer canal characters and information from 1821-1875. A walk along the old and new Erie Canal will share the early 1789 founding, 1812 War, early water travel and finally the Erie Canal opening in 1821. Come meet General John Swift. 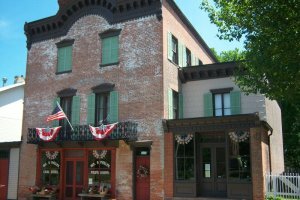 5 Museums at 1 destination including Alling Coverlet, Wm. Phelps General Store, Erie Canal Depot, and Palmyra Print Shop. $3 per museum, Trail Pass $7 all museums Family pass $14 children 10-under no charge.